Keller China Restoration specializes in quality restoration of collectibles, heirlooms and personal treasures. Corey and JoAnn Keller have a nationwide reputation for excellence with over twenty five years of experience. Each piece receives their personal attention. Keller's is an independent company. Their services have been recommended by satisfied antique dealers and individual collectors alike. Chips, cracks and previously glued pieces are invisibly restored. Missing parts are recreated, painted and glazed to perfection. Repairs can be made to materials such as porcelain, ceramic, pottery, chalkware, plaster, composite and glass. Glass grinding is available. Chips on items are smoothed and polished to perfection at reasonable prices. Crystal and glass bondings are made using special UV resins. You cannot make cracks invisible in glass because of it's transparent nature, but our bonding agents help hide the cracks best possible and will not yellow over time. Restored items are for display only. Pieces cannot be soaked, scrubbed or used for food service after being professionally restored. What Can Be Restored ? 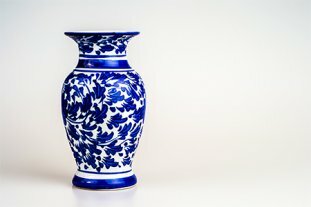 • Restoration and repair of china, ceramic, porcelain, and pottery items such as figurines, vases, plates, cups and so much more. • Restoration and repair of glass and crystal. sculpted or molded to restore the original details. Pieces are bonded with specially formulated bases that will not discolor or fade with age. • Colors and textures are then matched for a complete and invisible restoration. • We are careful to only repair the damaged area. Previously glued pieces can be taken apart and restored with excellent results. are made using special UV resins that will not yellow with age. Each piece must be individually evaluated by Corey and JoAnn Keller, the owners. Upon receipt of your piece, we will promptly send a written estimate, detailing the damage, the cost and the estimated repair time involved clients often begin the process by sending photos via email for possible cost options. Repair costs generally begin at $35.00 for invisible restorations of chips and small cracks. Glass grinding starts at $15.00 and up. We do not charge for evaluations. Cost is not determined by the value of the piece but rather by the amount of work required. Items may be shipped to us for a complete evaluation. Please put small parts in a ziploc bag so they do not get lost. We recommend double boxing your items with at least 3 inches of packing between the boxes and shipped insured UPS or FedEx. Please include your name, address, phone number and e-mail in the package. Also helpful is a contents list, description of the damage that concerns you and the amount of return insurance you would like. Completed work is returned direct to you, double boxed and carefully packed according to shipping standards. We generally charge $18.00 for small to medium size boxes and $28.00 for oversized boxes. This includes handling and saves you COD charges. Contact Us!